» This is the reason you Should Never Avoid Protein ! Proteins are an essential component of our diet. They are also one of the most talked about components of food these days. Most people know that we need them. However, what most people do not know is the amount of protein required on a daily basis and the various sources of different proteins. Firstly, it is important to understand that all proteins are made up of amino acids. These amino acids are the building blocks of life and therefore play a very important role in all life processes. There are long chain amino acids and short chain ones. However, all amino acids are not considered essential and hence they are further subdivided into essential and non-essential varieties. There are twenty such acids and each one has a specific function. Proteins can be broadly classified as animal proteins and vegetable proteins. The animal variety is obtained from meat, fish, eggs and dairy products. Milk is a great source of protein. Milk contains two proteins in the form of casein and whey, both very important to bodybuilders and athletes. Whey has acquired considerable popularity as an essential protein. They are sometimes referred to as “complete proteins” as they contain practically all of the essential amino acids. Proteins obtained from fish such as salmon and tuna are considered excellent. These fish also contain omega 3 fatty acids in addition to the proteins and this combination is considered as very heart-friendly. Proteins that are obtained from vegetables and cereals are sometimes referred to as incomplete proteins as they do not contain all the essential amino acids. However, it is possible to get all them all by combining a diet rich in fruits and vegetables with a diet rich in fish and poultry. There are nine essential amino acids that are a part of various animal proteins, yet most vegetable proteins do not contain these nine. You don’t need to have them all each day, but it is essential to get at least 15% of your daily energy requirements from proteins. If you are physically active, then you will need to consume even more protein. We need protein simply because they contain amino acids, which help in replacing lost cells and in the repair of tissues. The various metabolic functions of the body also require the presence of these essential amino acids. Amino acids also play a role in maintaining the immune system in peak condition. Obviously, all sources of protein are readily available. There are endless meat and vegetable options available, plus fortified versions of foods that don’t normally contain high levels. 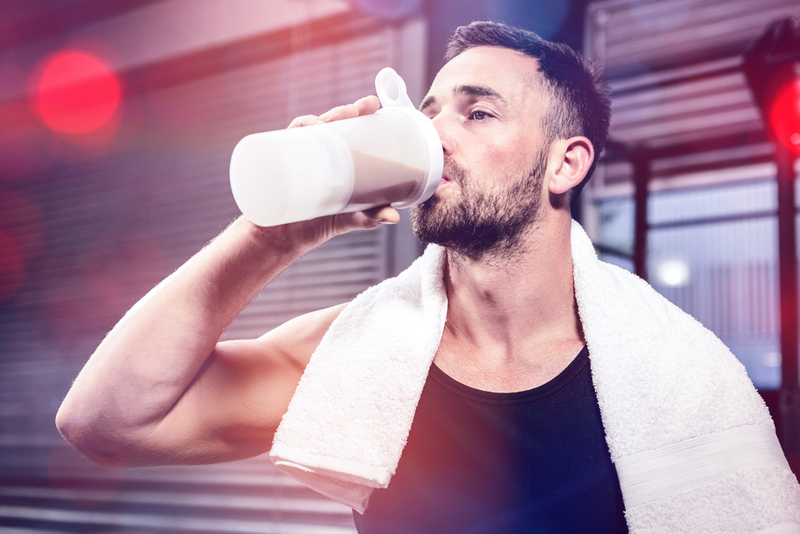 For athletes, fitness models and bodybuilders there are protein drinks, shakes, bars and other supplements with different types and amounts of important proteins and amino acids. So there is really no excuse not to get your recommended daily intake of protein. Proteins are a key component of our dietary needs. Along with vitamins, minerals, complex carbohydrates and other nutrients, we must make sure that we incorporate the amount we need as part of a healthy diet. Requirements are different from one person to the next and depend on gender, weight, goals and other particulars. So talk to your doctor and/or nutritionist and figure out what your requirements are.